When you first hear the names Bilz and Pap, you’ll likely think that they are sound effects of some sort. 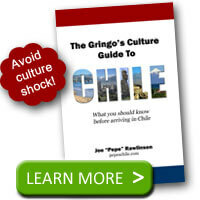 In truth, Bilz and Pap are two of the most popular soft drinks in Chile. Whenever you hear the name of one of these drinks it usually follows the other. They are typically marketed together so you’ll see them on TV and in advertisements as a pair of Bilz y Pap. Bilz and Pap are a domestic Chilean brand manufactured in Chile. They are the most popular domestic brand of soda in the country. You’ll find the drinks sold as single servings up to larger 2-liter bottles at supermarkets and corner stores. Bilz and Pap are both offered on many restaurant menus. Bilz is an artificially-flavored red drink. It reminds me of Big Red soda in the United States. 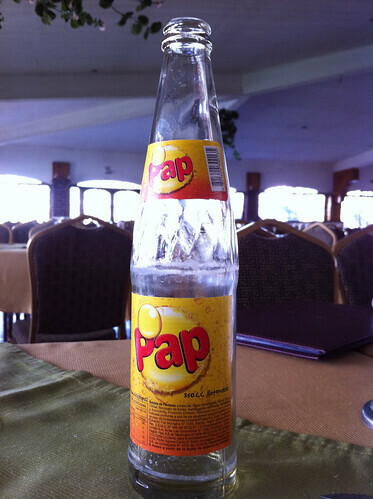 Pap is a yellow-colored drink with a papaya flavor. When you are in Chile, try both of these drinks. 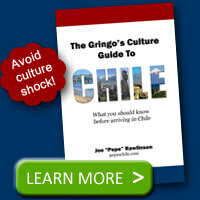 Even though Coca-Cola dominates the soda industry in Chile, try something new and Chilean. You can always get a Coca-Cola back home! You forgot “Inca Cola”. Like bizarrely flavored sugar water. I think I’ll stick with German style southern Chilean beer.